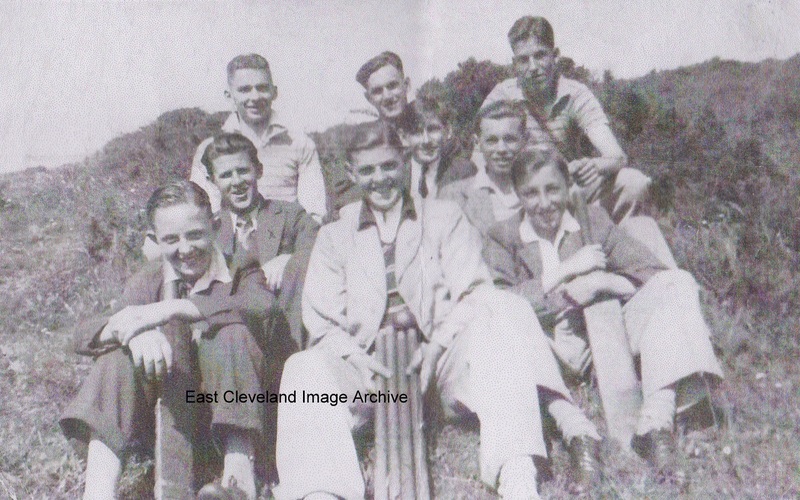 This photograph of Skinningrove lads came in an envelope entitled “Russell Cup 1938”, it is known that the Russell Cup was always played at Loftus Cricket Club, the Archive would welcome assistance in identifying all in the picture, as well as a location and reasons. Front row, Joe Scott, Billy Andrew, ??. Image and names to date courtesy of Colin Hart (and Phil Saunby). The Russell Cup was won in 1938 by Co – Operative, they retained the cup having won it in 1937 also.